Tastefully renovated and filled with light! You'll love the all new kitchen with quartz countertops, tile backsplash, shaker cabinets, no-touch faucet, stainless steel appliances, gas range, and pantry. Spacious, open floor plan with views and easy access to yard. Inviting outdoor space includes a patio for entertaining, lawn area, and room for a veggie garden! New interior and exterior paint. New lighting. Beautiful hardwood floors throughout. Truly a delight to see! 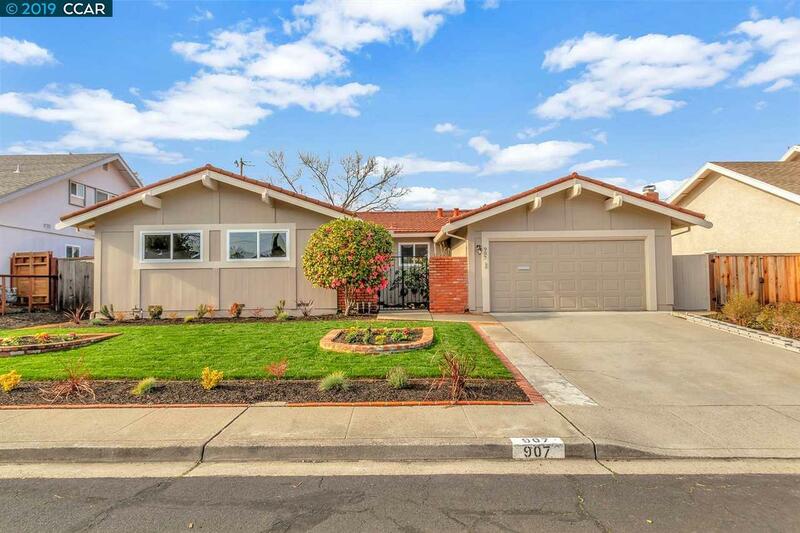 On the Walnut Creek border, close to Trader Joe's, Countrywood Shopping Center, De La Salle & Carondelet High Schools... and an ideal commute location.